Professor Wolf-Dietrich Sahr worked as a guest researcher at the Center for Intercultural Studies during the winter semester 2002/2003. The geographer and author works on theoretical and empirical questions of interculturality and migration and thus meanders between the academic and non-academic worlds of both: Latin-America and Europe. His work is on the overlapping areas of geography, sociology, philosophy, history, literature and religion sciences. Since the mid-eighties he spent lengthy periods in Algeria, Angola, the East Caribbean (St. Lucia, Martinique, Barbados) and Brazil. In 1997, he emigrated to Brazil where, until recently, he was working at the geographical institute of the federal university of Paraná (UFPR) in Curitiba. 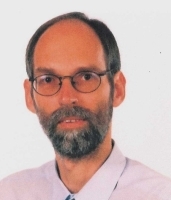 His scientific research about regional rural development, political geography and action-theoretical geography of culture (religion, migration and everyday culture) and its related projects were funded by the Deutsche Forschungsgemeinschaft (German Research Society), the fund of the Volkswagenwerk and the Fundação Araucária (Brazil). In addition he received stipends from the Friedrich Ebert-Stiftung and the Brazilian Research Council (CNPq). His work in the non-academic field was primarily concerned with the agricultural sector, the area of politcal cabaret and stand-up comedy, the international Red Cross and tourism. His research is currently dedicated especially to socio-cultural processes of migrant integration in Brazil and the Caribbean, where a special emphasis is on the intercultural component of migration networks. For this purpose, he analyzes migration history, religion and everyday culture of Mennonites, galician Ucrainians, Poles, Dutch and Russian-Germans, the research of which is done in collaboration with other institutes. His theoretical work centers mainly around the geography of cultures , which is based on phenomenological and poststructural approaches. Professor Sahr gave a lecture about the "Introduction to the action-theoretical geography of culture", a seminar on "The Construction of Intercultural Spaces in Southern Brazil" and a lecture series on "Questions of Space in an Interdisciplinary Context." In addition, Professor Sahr participates in the current ZIS-project on "Ethnic Identity of Colonies of Arabian Origin in the New World."